Audience Extension helps in converting a publisher’s traffic into an advertiser audience which allows publishers to earn more revenue from their visitors and advertisers to increase their reach ability to more audience. 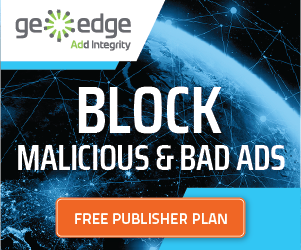 Audience Extension enables the publishers to make more revenue from their site’s traffic by allowing advertisers to reach out to their site visitors throughout the web not limited to their website. Publishers keep the track of their website visitors and then allows the advertisers to serve the ads to those visitors even on different websites throughout the web.Publishers can decide if they want to share their inventory with the advertisers or not as they can still get benefit from audience extension without sharing their inventory. They can create an ad-free site but can still make revenue through the sites traffic. The publishers share this information about the unique visitors with the advertisers, through which advertisers can reach out to this audience and serve their ads to them throughout the web. This helps the advertisers in identifying the more interested group of people to whom the ads should be served to. For example: An advertiser wants to serve ads featuring the Heart Hospital of Delhi to the audience of a popular Hospital-Review website. The Hospital-Review Website which is the publisher in this case can make revenue by selling its data about its unique visitors to advertiser. Depending upon this data , advertisers can reach out to the audience who were looking for heart hospitals. Campaign execution using DSP (Demand Side Platform) tools. With the combination of these tools both publishers and advertiser can achieve the best out of audience extension.